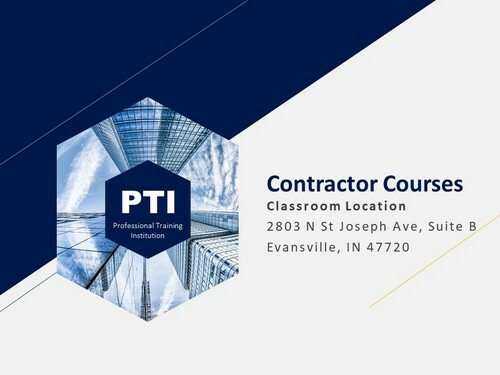 Vanderburgh County requires contractors working in the county take 3 hours of continuing education each year to maintain their contractor license. PTI offers a variety of classroom courses to help meet this requirement. Classes begin in the fall and continue through to the end of the year. Scroll down to see a schedule for classes, listing dates, times, license approvals, etc.